Thomas was sitting in court in Melfort, Sask., on Jan. 30 when Sidhu’s brother tapped him on the knee and asked if Thomas would meet with their family after the hearing ended for the day. “We went into a small room in the back,” Thomas told The Canadian Press in an interview on Jan. 31. “I said, ‘So far, you’ve done everything that’s in your power,'” Thomas recalled. “He pled guilty, he took away the possibility of a long, drawn-out trial. He ended the proceedings in a pretty short and quick and efficient manner and definitely saved our families a lot of grief going forward. Thomas said he accepted Sidhu’s apology. Thomas said he wouldn’t want to be in the judge’s position of having to determine Sidhu’s sentence. “A couple of Mr. Sidhu’s family members were in the meeting with us and you could see the pain in their faces. So many families on so many levels. 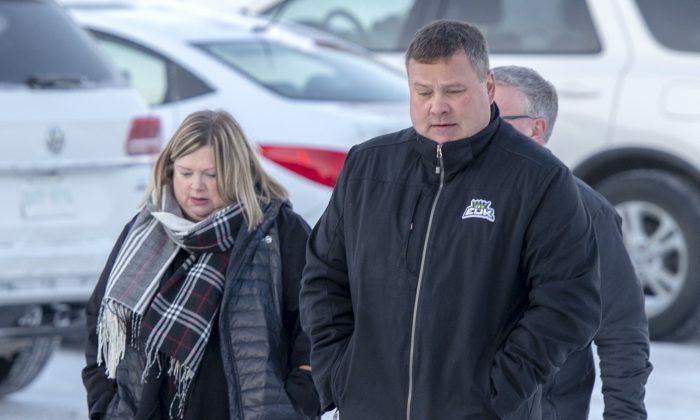 “If I harbour long lasting hard feelings toward anybody it’s toward the company that employed him … the trucking industry that allowed this to happen and the governments that allowed a man like him to be behind the wheel,” Thomas said. “However this happens, there’s no winners here,” said Thomas.